Lovin Soap Studio (Amanda & Benjamin Aaron) has spent the last 8+ years building an active and engaged community of tens of thousands of makers! From our blog and email list to our Facebook Group, Saponification Nation, we interact daily with makers to help, inspire and engage on the topic of soap making! We hope that you’ll trust us with your advertising needs and will allow us to introduce your product or service to the soap making community! We can craft a creative and inviting email about your product or service and send it to our subscriber list of over 15,000 soap makers! The custom email can feature an interview with you, a tutorial using your products or equipment or just an overview of your service. Please note that we only allow for one custom email blast per month so spots are limited. We can work with you to create an authentically crafted blog post featuring your products or services for soap makers. Whether it is a unique design tutorial using your equipment or raw materials, an interview or a review of your services, we’d love to share your product with our readers! All sponsored posts are shared on social media, in our Facebook Group and featured in our newsletter, Soap Week Update. This is a great option if we happen to be in your area or at a conference together. Do you have a product that you want featured Live in our Facebook Group? We can set up a Facebook Live session and introduce you to our community while you demo your product or talk about your service. This is a great way to get your product in front of thousands of soap makers! Would you like us to post about your product or service in our Facebook Group? We’d love to help spread the word! Let us craft a creative and inviting post including info about your product, an image and a link to your website. We can also host a giveaway of your product or service to create excitement about your business. Get your product out in front of thousands of soap makers! Our audience is mostly soap makers and formulators of bath and body products, candles and similar items. Your product or service must be relative to what our audience is all about! We deny advertising requests that aren’t a good fit for our community. 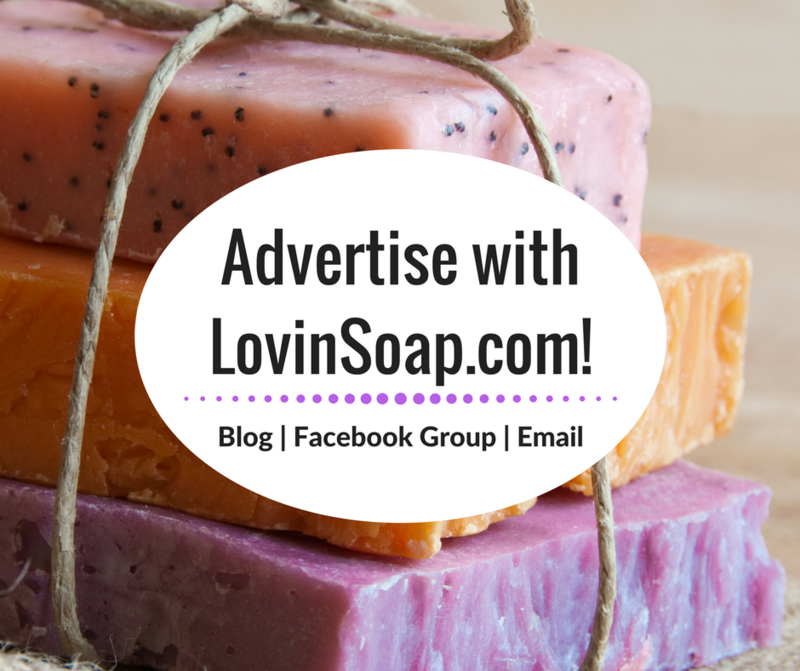 If you are interested in advertising with us, please email me at amanda@lovinsoap.com. Please mention advertising in the subject line.